The “HRE3D+” is the result of an intensive design collaboration between HRE Wheels and GE Additive. 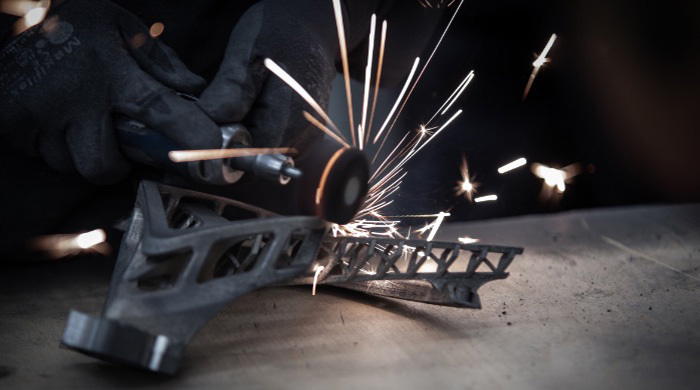 The two companies worked together to push the boundaries of what is possible to create the first 3D-printed titanium automotive wheel. 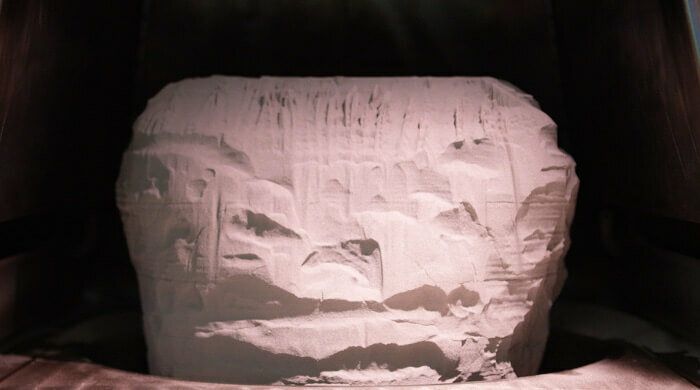 The goal of the “HRE3D+” project was to capitalize on the capabilities of additive manufacturing to create a stunning wheel using a design and material that is impossible to manufacture using traditional manufacturing methods. 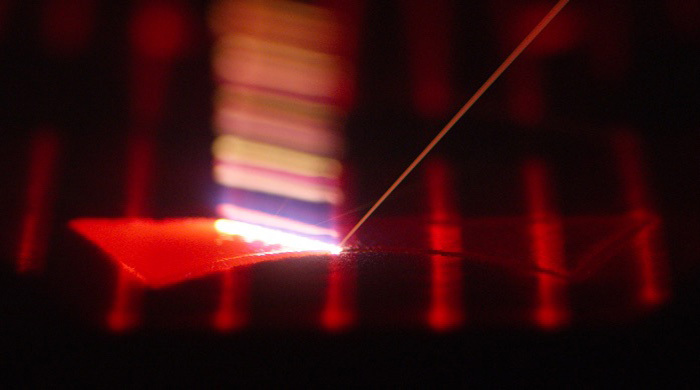 Electron Beam Melting is an additive technology that uses an electron beam to melt and fuse fine layers of titanium powder into a solid. These fine layers are built up one at a time to create the full design. 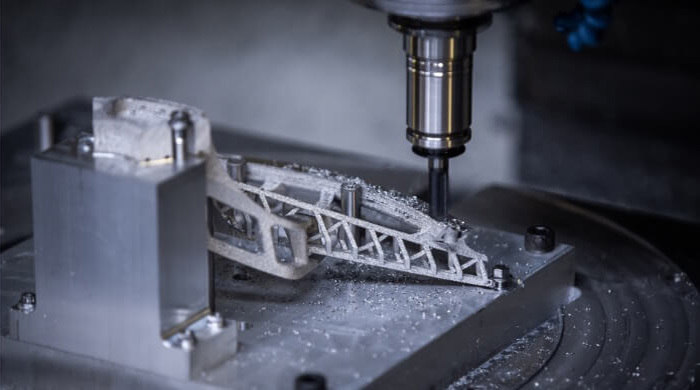 The additive design is built up in a bed of fine titanium powder which results in very little wasted material, unlike traditional subtractive methods like machining from a solid forging. 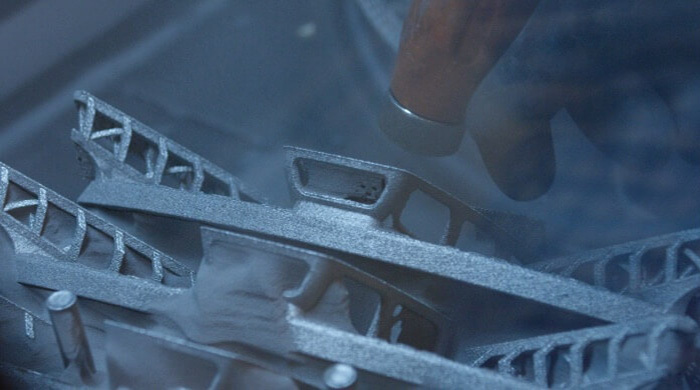 The excess titanium powder is removed to reveal the final design and recycled for future parts. 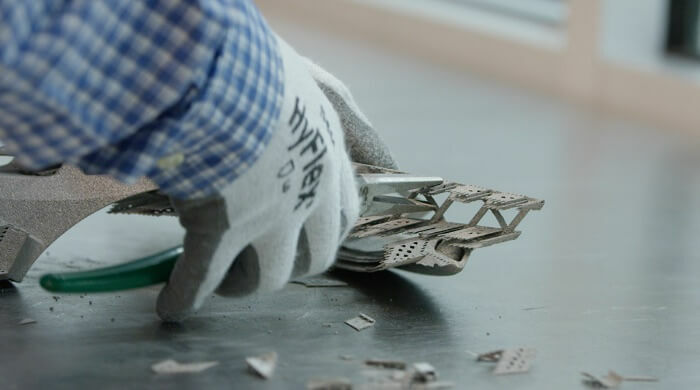 Temporary internal support structures are printed along with the part to provide support to the structure and to facilitate extremely complex designs. These are removed by hand and recycled after printing. Mating surfaces and threads were CNC machined post-printing to ensure tight tolerances of assembly. Compared to traditional machining from forgings, this post-processing is minimal. The tops of the spokes were hand brushed to create a beautiful decorative finish. Because Titanium has excellent corrosion resistance, no additional powder-coat or clear-coat was necessary. Due to the minimal machining and finishing, cleaning is a simple process simply to remove any oils or remaining powder. 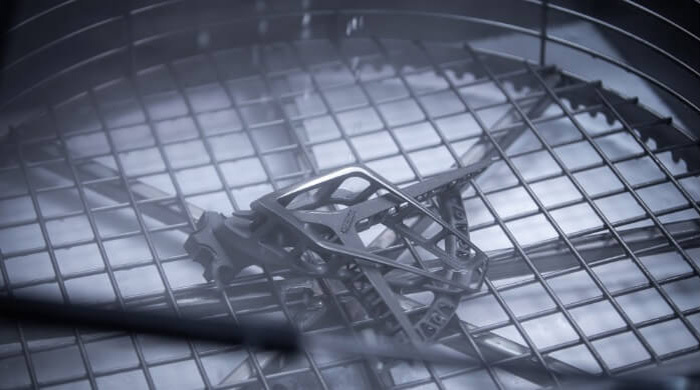 All the parts were hand-assembled into a carbon-fiber rim barrel using titanium fasteners.